A manager’s job is never done. There is always a cause to undertake or situation to help control. I should know, I was a warehouse manager for a day. Why was my tenure so short? Well, it was because my “job” consisted of directing some employees with whom I shared a unique bond….my children. 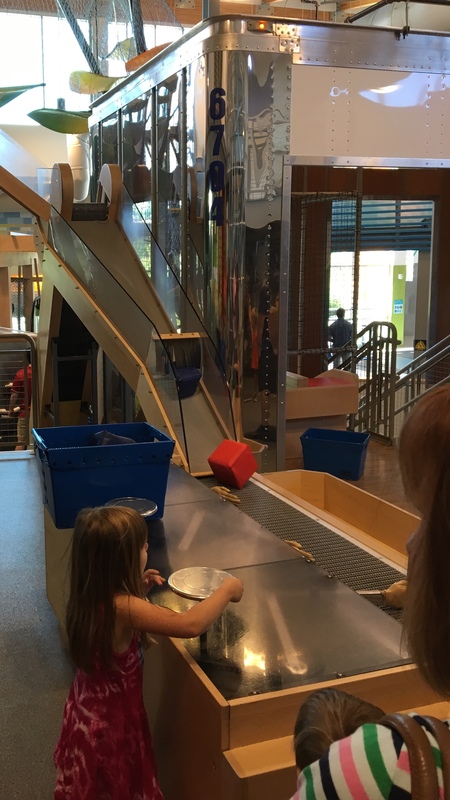 We were working in General Mills Lift, Load & Haul distribution center at the Scott Family Amazeum, which provided a fantastic showcase for them to see just what efforts and machinations go into getting each and every package out to its destination. I took it upon myself to share my knowledge of the material handling and warehousing sectors to see if I could get my children to take a package from start to finish in this warehouse. I learned that even in the smallest warehouse, there can be “interesting” problems to solve. As we started our warehouse “day”, my kids were excited to see the levers, pulleys and machines that lay before them. They ran into the warehouse area and started turning, pulling and pressing every lever, knob and rope they could get their hands on. They would watch the totes and bins move along the conveyor, or into the loading zone, but would wonder why they weren’t working the way THEY wanted, even to the point of frustration. They had figured out the end goal (get them to the shipping truck, and yes, there was a shipping truck), but were lost at how to get there. Seeing as that I was now the defacto manager of our mini-DC, I talked to both of them, explaining as best as I could how each system worked with the other, and how they could manipulate the equipment to move the packages forward. After explaining the workings of our mini-DC to them, I set out to show them how to manipulate the equipment to get their packages (which they had marked their names on) from the beginning of one conveyor to shipping dock. Was there struggle? Well of course, but in taking the time to help train them in the use and movements of each machine, they began to use that knowledge and work the problems out for each station. As their packages started and continued their journey, each child was all smiles at the accomplishments they had achieved. But this journey was not without some tension and harrowing experiences, no sir! Cooperation was hard to come by at first, with each child wanting their packages to move one way or another that was in direct confrontation with the others. There was conflict and chaos, and possibly a package thrown in the air in anger, but we got through these rough times by realizing that cooperation is key to getting our packages to their ultimate destination. 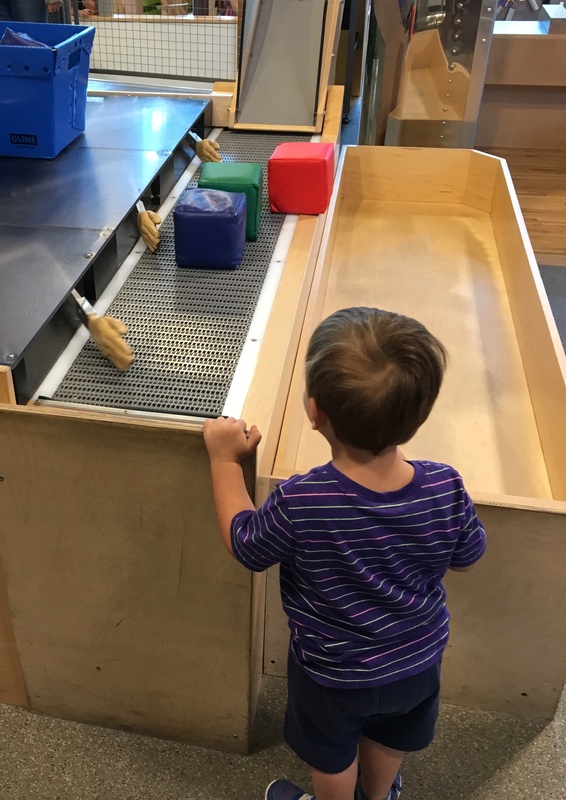 By learning to work together in such a “high stress” situation of an Amazeum Warehouse, they soon discovered just how fast they could get the job done, and then hurriedly run to the next fun attraction! I must say, I feel as if I walked .1 miles in a warehouse manager’s shoes, but I helped apply some basic principles that managers for every size of facility utilize to make a more efficient and cooperative environment. Now, if only I could keep up with my high-energy “employees”.